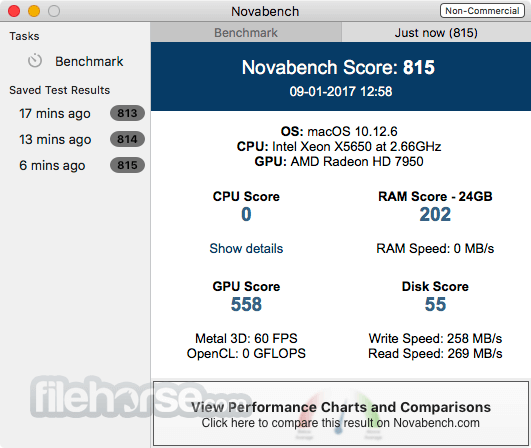 NovaBench is a freeware benchmark test for Windows and macOS. It quickly tests your computer's capabilities (CPU, Graphics, RAM, and Storage). NovaBench has been trusted by millions since 2007. 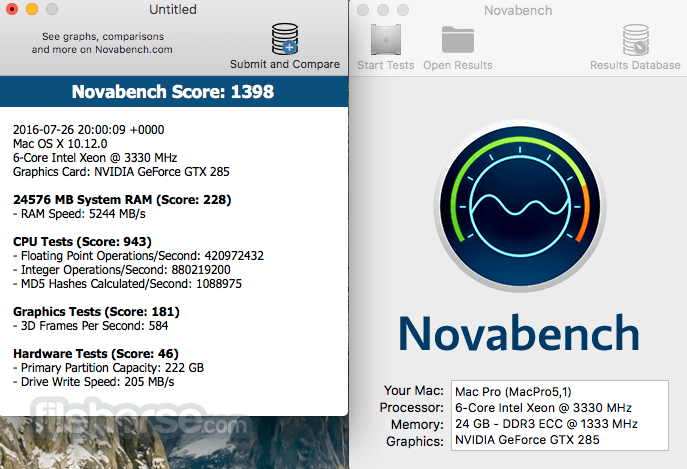 Test the speed of your computer with NovaBench for Mac, a free benchmark program for Windows computers. NovaBench is designed to quickly run comprehensive tests your computer components. The CPU, RAM, GPU, and disks are tested to produce a detailed breakdown, and an overall system score. Your results can be submitted and compared with others online. Verified scores can be shared on your online NovaBench for Mac profile. Testing your computer is easy and only takes a few minutes. Compare your results online to look for potential problems. Tune, upgrade, or repair your computer based on your results.